2 Beds 4 Baths 1 Partial Bath 2,800 Sq. ft.
Rehab opportunity in historic East Lincoln Park. 2800 sq ft duplex down w/loads of original woodwork and exposed brick. WBFP, storage and 1 parking spot and storage included. Pets ok. Private front terrace overlooks the beautifully tree lined street and back deck for even more outdoor entertaining space. 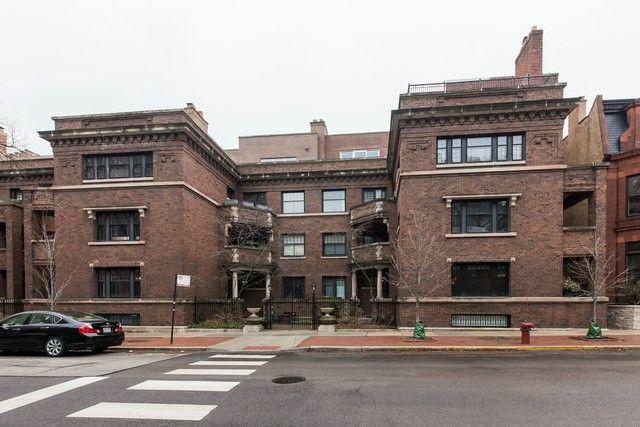 Ideal location just steps to Lake Michigan, Lincoln Park Zoo, Lincoln Park Conservatory, and many wonderful restaurants in Lincoln Park. Excellent private and public school district! Francis Parker, Lincoln School, Lincoln Park pre-school, & GEMS academy. Bring your contractor/architect!! !